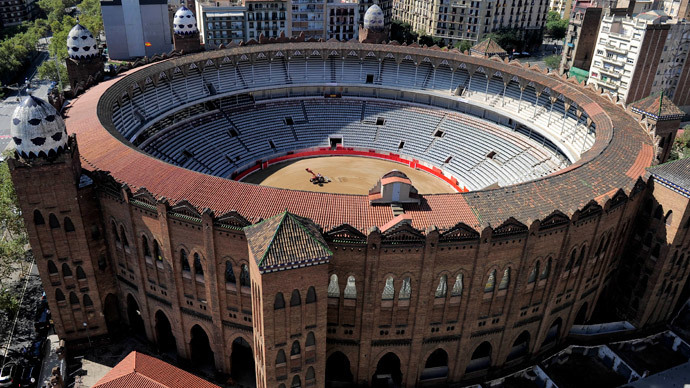 The Emir of Qatar has reportedly agreed to roll out €2.2 billion ($2.99 bn) to convert Barcelona's Monumental bullring into a 40,000-capacity mosque, the biggest in Europe, by 2020, if the city council approves the project. The building would include a 300m high minaret which may become the third largest in the world after those in Mecca and Medina, reports 20 Minutos, Spain's most-read general newspaper, citing its sources close to the project. The mosque for Barcelona’s Muslims will also have a conference hall, a Koran study center, housing up to 300 people, and a museum of Islamic art and history. The Balaña Group in Barcelona has already agreed the sale, reports 20 Minutos. The next stage will be discussing the project with the city council and getting its approval. The Balaña group, however, hasn’t confirmed the information, the paper writes. According to the Statistics Department of Barcelona´s Town Council, at least 500,000 Muslims were living in Barcelona in 2012. But despite this significant number, the city has only several small houses of worship for Muslims.